This weekend wraps up a month of in-district action where advocates asked our federal officials to pass health care reform this year that includes long-term services and supports for people with Alzheimer’s and to co-sponsor the Alzheimer’s Breakthrough Act. I want to personally thank the thousands of advocates who carried our messages into town hall meetings and district offices. Our Washington, DC staff will follow up on all of your efforts. Congress returns to Capitol Hill after Labor Day to move forward with health care reform legislation in September with a goal of finishing the process by the end of October. Keep an eye out for more on the progress of our priority issues in the weeks to come. One final point – Advocacy in August wasn’t just about Congress. In this account, Liz McConnell reflects on her advocacy on behalf of Alzheimer’s with the President. “Since attending the Obama Town Hall Meeting in Portsmouth, New Hampshire I continue to have hope. I saw hope in the faces of most of the general public who attended, the Obama staff, volunteers and the President himself. Those attending are hoping for reform of the healthcare system, and my hope is that reform will include changes in attitudes and policy regarding long-term care and increases in research funding for Alzheimer’s Disease. I came to the event as a volunteer, but also as an advocate. 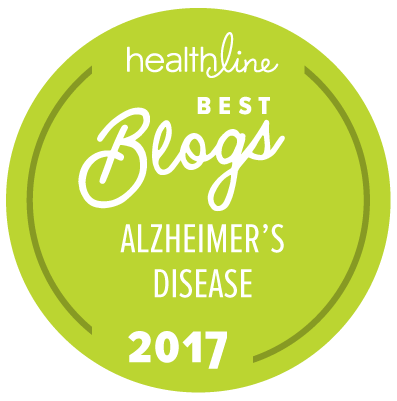 I want people to think broadly about healthcare reform, and include Alzheimer’s disease in that equation. I spent the first hour before my volunteer duties began distributing purple ‘Stop Alzheimer’s Now’ stickers to the waiting crowd. Inevitably, people tell me their stories of loved ones diagnosed or lost to Alzheimer’s. When they tell me their stories, they make connections with changes that must occur, and often talk about their fears of the increase in numbers of people who will be diagnosed. Without a change in the system, their fear is that they might one day be a part of those greater numbers of people diagnosed in a broken healthcare system. During the event, there was one question relating to Medicare and the savings the administration is hoping to gain through greater efficiencies within the system to help pay for part of the cost of healthcare reform. There was concern expressed that the savings would be gained through taking away currently offered services. President Obama made assurances that the cost savings will come from efficiencies and not cuts in service. Who knows what he thought when he pulled that sticker out later? I like to think he spent at least a couple moments thinking about what can be done to do just that: “Stop Alzheimer’s Now”. So, advocacy is critical to our success. But it’s also often fun, and surprisingly straightforward. If we all engage in Advocacy, we will much sooner get to our vision of “A World Without Alzheimer’s”.